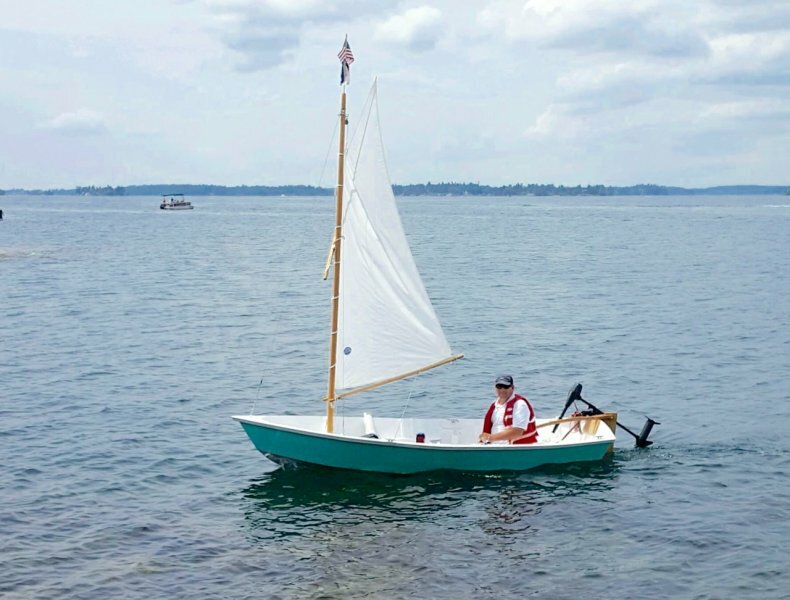 Fifteen years ago, David McNaught of Greensboro, North Carolina, ordered plans for this 12′ sailing dinghy from http://www.bateau.com. He started building the stitch-and-glue boat and worked on it for two months before he had to put it away. Just a year ago, he was finally able to start again. David finished the boat last summer. This picture shows him sailing on the St. Lawrence River in upstate New York.